I am one of those people whose hair washing routine consists of shampoo and conditioner, the only time I have had a hair mask is when I go to the hairdressers. 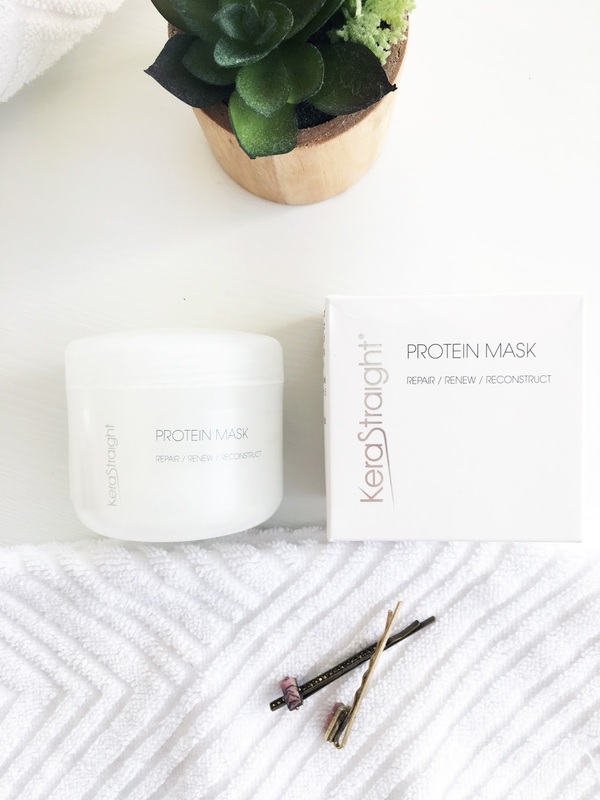 So when KeraStraight kindly sent me the protein mask from their extensive range I couldn't wait to give it a go. 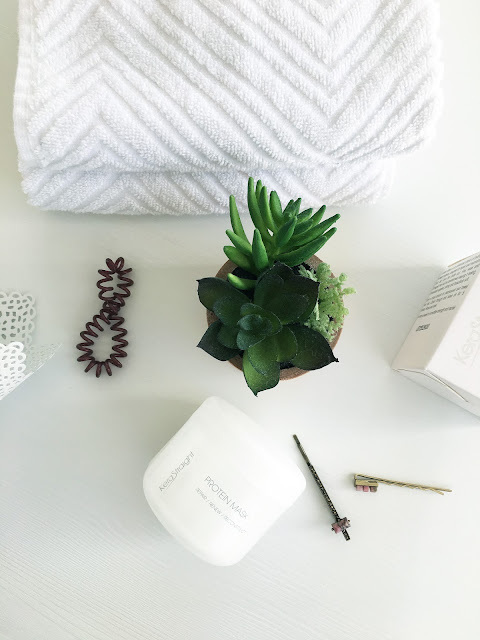 To use simply towel dry shampooed hair and apply a small amount of the protein mask, comb through and leave on for 5 mins! Simple right? I have been using this once a week (I wash my hair twice a week) and I have been loving the results. After washing my hair normally it would still feel dry and knotty not the ideal result for freshly washed hair, but after using this mask my hair feels much more manageable! Its smooth and silky and the ends of my hair look a lot healthier...Why have I never used a mask before?! Have you tried anything from KeraStraight before? I would love to hear your thoughts and recommendations! This mask looks amazing! I have to try it!